« Spurgeon: Feeding Sheep or Amusing Goats? It’s probably no surprise that street evangelism is unappealing to most Christians because you don’t see much of a return on your efforts. For one thing, strangers you encounter on the street are highly unlikely to cross your path a second time. In addition, people on the street are often apathetic and sometimes hostile to Christian outreach. Finally, there is often no visible fruit, so it is often like sitting in a fishing boat for hours without getting a single bite. Simply put: Public evangelism can be discouraging and disappointing. I have felt this myself at times. The truth, though, is that our discouragement and disappointment in evangelism are not justifiable. Although we naturally want to see positive results from our labor and desire to be liked by others, could it be that these expectations reflect an unwillingness to suffer for the name of Christ? Are we more interested in seeing positive results from our efforts than being obedient and faithful even to the point of suffering? Will we settle for nothing less than mass conversions, acceptance by non-Christians and cheerful responses to the gospel? Do we want the glory without the cross? If so, we need to replace those misguided expectations with a willingness to suffer for our Lord because the reality is that, more likely than not, our evangelism will be met with stern opposition. Jesus said to His disciples, “Remember the word that I said to you: ‘A servant is not greater than his master.’ If they persecuted me, they will also persecute you. If they kept my word, they will also keep yours” (John 15:20). Paul wrote these sobering words to Timothy: “Indeed, all who desire to live a godly life in Christ Jesus will be persecuted” (2 Timothy 3:12). 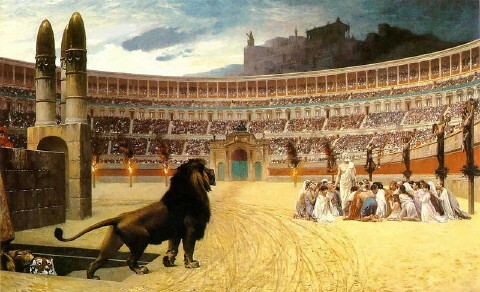 Dare we think that we are so high above Christ that we are exempt from persecution? There is something else to consider, though: Avoiding evangelism because of unpleasant responses falls short of the agape love that God demands that we show the world. It is the kind of love that blesses others even when they don’t want it, don’t ask for it, or are hostile to it. That is the kind of love that God has shown mankind—and continues to show—by condescending to people to reveal Himself, whether through general revelation (creation) or special revelation (Scripture), in spite of the fact that all people have rejected that revelation. It’s the kind of love that God showed the world when He gave up His Only Son to die for sinners: Nobody asked Him, much less wanted Him, to do that; yet He did it anyway. We must be honest with ourselves and candidly admit that if we withhold the gospel from those who desperately need to hear it because we want to avoid unpleasant responses, then we are falling far short of the love that God demands of us. What is our motive for serving? Do we serve only as long as it is pain-free, or are we willing to serve even if it means suffering and rejection? If our motive is love, we will serve others regardless of what it costs us. There are many people who don’t know even the basics of the gospel message and desperately need Christians to bring God’s revelation to them. Many of them will probably hate us for it, but that doesn’t mean they need it any less. Dare we withhold that from them simply because it might bring discomfort to us? Well said, this Blog post sounds like it is coming from someone that knows from experience. And “Loving a Hostile World” reminds me of when the Apostle Paul was once called Saul of Tarsus. I would like to add just one bit of encouragement to this post though. Many street evangelists quote Isaiah 55:11 often, but usually on the first half of the verse “God’s Word does not return to Him void”, which is correct, but only half of the verse. The whole verse is “So shall my word be that goeth forth out of my mouth: it shall not return unto me void, but it shall accomplish that which I please, and it shall prosper in the thing whereto I sent it.” ~ Isaiah 55:11 (KJV). And together with the first half of the verse and the second half of the verse together, it really is encouraging to know that by being a faithful street evangelist, and getting the Gospel to as many people as possible, God will indeed take an active part in our evangelism, making it “accomplish that which I please, and it shall prosper in the thing whereto I sent it”. And that is encouraging to know that we are not alone out there, that it’s not us saving people but God, and also that there is no way we can trip up God, because he is accomplishing ALL that He pleases to be done.